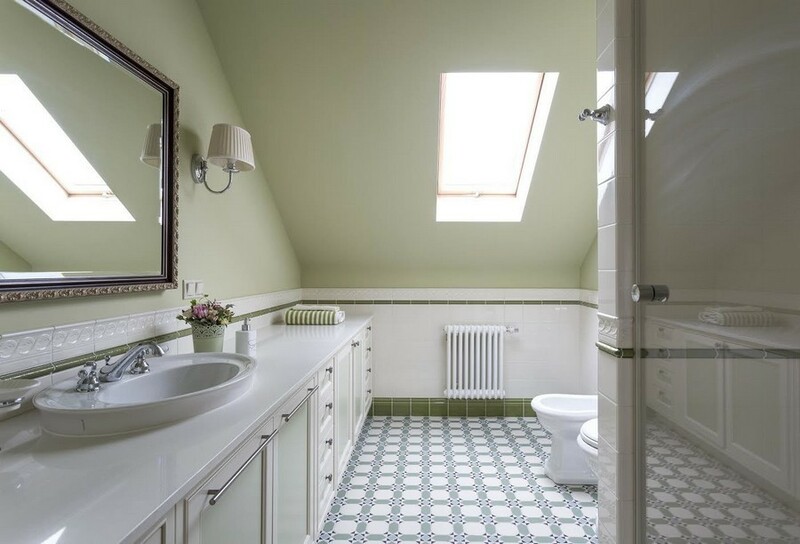 Today we decided to provide you with more information about an increasingly popular finishing material, the history of which started back in the Middle Ages – the Mettlach tiles. What characteristics does it have? Is it still used in interior design? Why was it picked to decorate the legendary Titanic? Let’s find this out together from this post! Believe it or not, but the Mettlach tiles were first produced in a tiny town of Mettlach in the west of Germany. Now this place is widely known as the headquarters of a giant manufacturer of sanitary porcelain – Villeroy & Boch, which started to produce the Mettlach tiles back in the medieval and manufacturers them to this day. 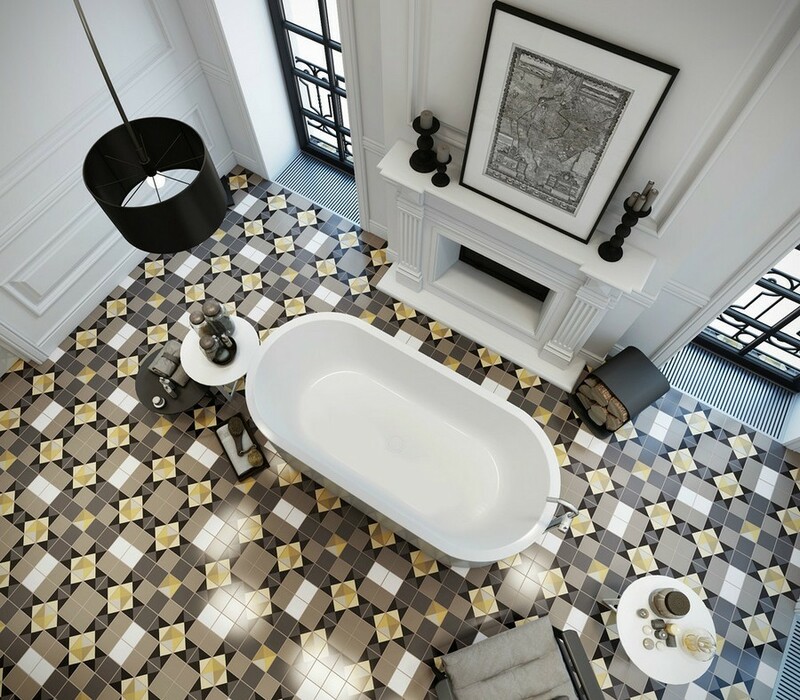 Primarily the Mettlach tiles represented multicolor and monochrome ceramic pieces of small size and plain geometry: squares, diamonds, triangles… But nowadays traditional monochrome product range is manufactured along with gorgeous tiles with various patterns. 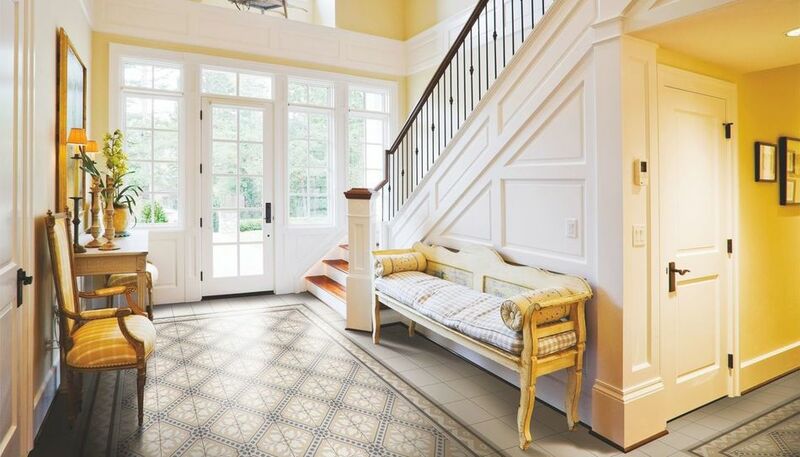 Also the Mettlach tiles are widely used to create mosaic compositions, diverse ceramic puzzles and wall murals. This material is a result of baking hard melting clay at the temperature of 1200 degrees Celsius. Due to such a technological process it’s solid, frost-resistant and even acid-proof, which makes it suitable for both exterior and interior design. 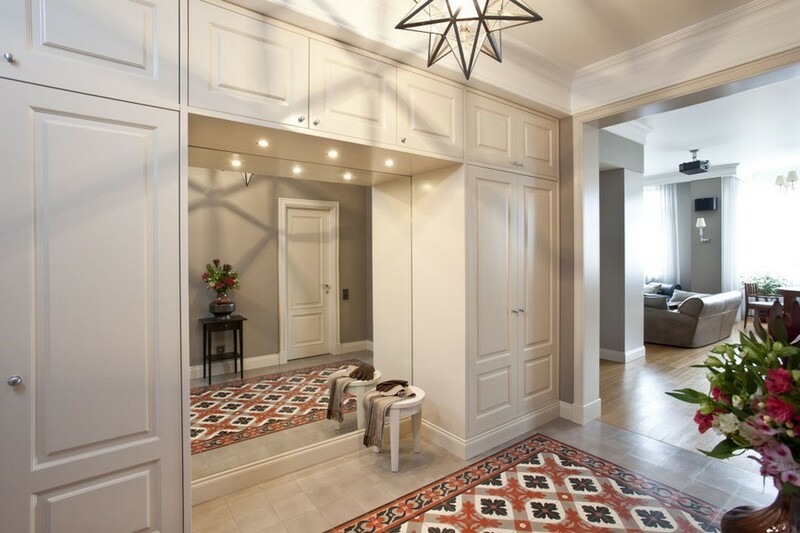 In fact, the Mettlach tiles are similar in properties with ceramic granite and natural stone. 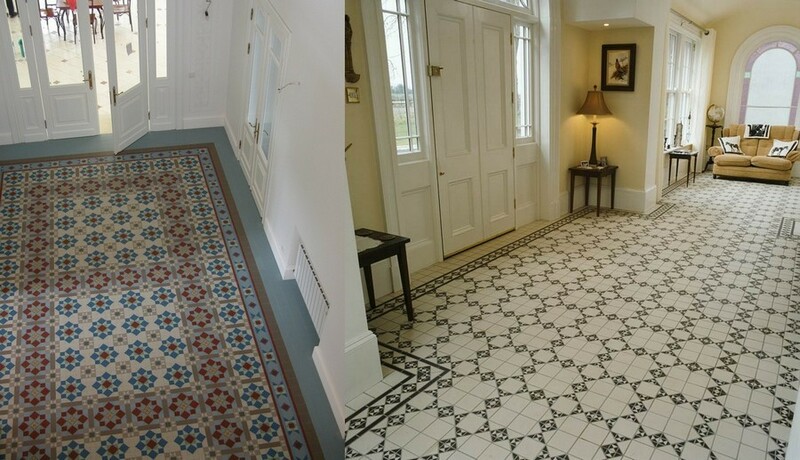 In interiors they can create a tiled “carpet” in an entry room, zone the flooring in a big bathroom or dress up wall recesses. 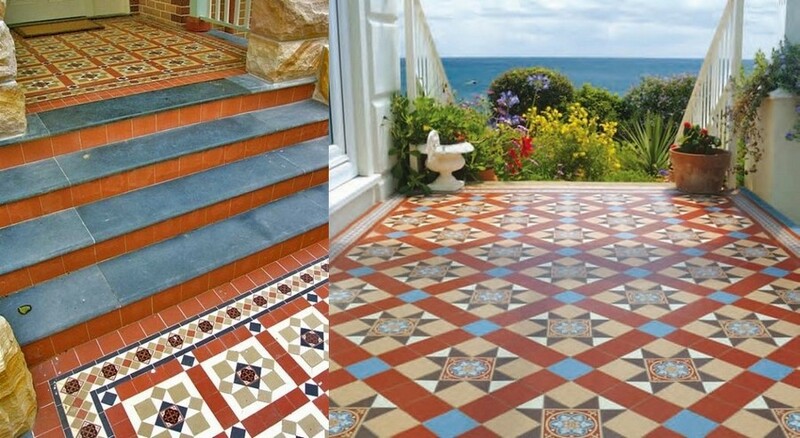 And when it comes to exteriors, the Mettlach tiles are used for facing basements, decorating fronts of houses, dressing up terraces or laying garden paths. 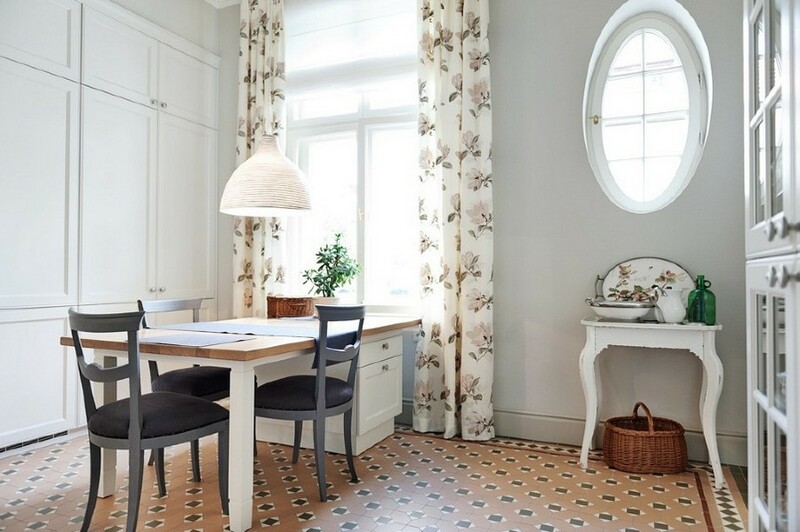 Besides their high durability, the Mettlach tiles may boast being absolutely environmentally friendly. This is especially relevant today as ecological aspects become a key point in picking finishing materials.